The holidays are coming, let’s make sure your self-care routine is ready..
We’ve teamed up 5 other Mamas to set you up for success this holiday season with this month’s #karmamamaoffering. A routine doesn’t mean boring, rigid, or equal a life with no flexibility. In fact, we think it’s just the opposite! Having a healthy routine for yourself keeps you grounded, helps you stay positive, and keeps life moving in the direction you want it to. However, we also know how easy they are to forget or implement. That’s why we’ve created the ultimate Mama Self-Care Routine Kit. In this kit you’ll get tips for starting the day out right with your perspective and intention, find more gratitude, get moving and grooving for more core strength, nutrition tips to stay healthy, how to use more essential oils for your health, and yoga & meditation to stay grounded. If you already get our emails, don’t worry - you’ll automatically get our newest #karmamamaoffering! We respect your privacy - and it’s important to know that you’re opting in to receive updates/newsletters from all participating Mamas from this kit. You can unsubscribe from any email and any Mama at anytime. Your details are safe. @thekarmamamas are 2 west coast Mamas creating the ultimate retreat experience and community for all the Mamas who need the time and space to get grounded and practice more self-love in their lives. Jenna and Sabrina, aka The Karma Mamas, help women connect to themselves and others, learn how to stay present and more positive in the chaos, and create the life they want. Get our tips on starting off the day exactly how you want it and with more intention & gratitude. @empoweredrd is a San Diego based Registered Dietitian and Lactation Educator. Her specialties include eating disorders, prenatal + lactation nutrition and child feeding practices. Jaren firmly believes in empowering women by providing them with evidence based practices that support all women’s innate ability to birth, breastfeed and nourish themselves and their children with confidence. Get her tips on meal planning and meal prep for your nutrition routines. 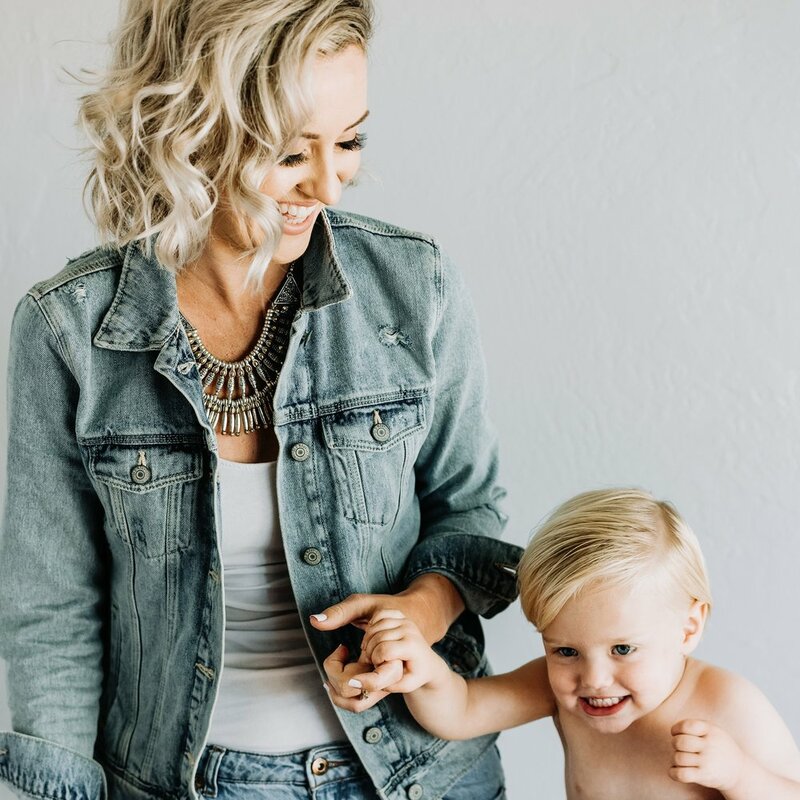 @themodernmamahood created The Modern Mamahood after her son Jack was born, with the idea of a blog where moms could come get vegan recipes, and share in common mama struggles. The Modern Mamahood Beauty (@t.m.m.beauty) started when Natalie saw the need for moms to get their hands on cleaner and safer products for themselves and their children - free from harmful chemicals, that a mama is confident to use in all stages of motherhood. Get her tips on using oils in your daily routine for health, sanity + more. @erinkendallfit is an American Council on Exercise Certified Personal Trainer with 2 little toddlers at home. While juggling a household, two kids, three pets and maintaining a little sense of self she hopes to bring a ray of hope and sunshine to other busy moms through Fit Mom Go! Fitness for Moms is more than a few minutes of "me time." It's a lifestyle that we pass onto our children and radiate in everything we do. Erin has been a personal trainer since 2009 and works with clients in person, online and leads a community of other Fit Moms! Get her tips on building core strength and with a progressive workout routine. @moonstone.momma, the Founder of Moonstone Momma is a Reiki Master Energy Healer and mother to a vivacious one year old boy. Moonstone Momma is dedicated to the maternal community and provides a variety of modern holistic motherhood support services. They believe that the journey to and through motherhood is one that's best with a tribe by your side and they'd love to be a part of yours! Moonstone Momma exists to to fill in that gentle, spiritual piece that's often missing in growth and healing, both in the perinatal period and beyond. Get her tips and tricks on protecting and healing your energy through the holidays. @natureswhisperyoga is the founder of Nature’s Whisper School of Yoga, Nature’s Whisper Natural Herb products and Hot Mama Yoga, the first yoga studio in San Diego to offer childcare. Women are her passion, but she is committed to the empowerment of all beings through the teachings of authenticity and using all of life’s lessons & pleasures for spiritual growth. When she’s not chasing her young son or coaching other mamas toward sanity, you will find Jolie teaching workshops, teacher trainings and retreats throughout the United States. Get her tips on Mama yoga and helpful poses for the body and mind on and off the mat.